This weekend I will be heading to London for the Britmums Live blogging conference, and I am so excited and nervous! I am so proud to be sponsored by a brand that we love as a family; Sweet Dreamers, the creators of Lydia’s most beloved toy Ewan. Lydia, in particular, is extremely excited that I now have a Ewan logo on my blog, and keeps squealing with excitement when she catches a glimpse of her favourite sheep in my sidebar. Not to mention my “proudly sponsored by” badge which she promptly claimed and wore for an entire day, making her rather bedraggled and well-loved Ewan kiss the badge Ewan on her chest. Thanks to my sponsor’s generosity, not only will I be attending Britmums this weekend, I am also able to give away one of their new Grey Ewan sheep on my blog to celebrate my sponsorship! Grey Ewan is the latest addition to the Sweet Dreamers family, with all of original Ewan’s fab features in a new Grey fleece. Our new grey ewan the dream sheep® has all the same features as our original purple ewan®, he just has a grey fleece! 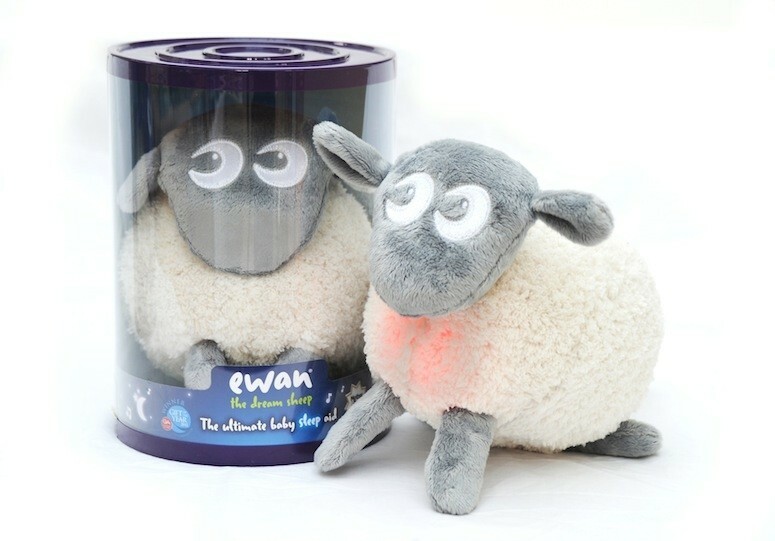 ewan the dream sheep® emits soothing sounds at a low base frequency and a calming pink warm glow, which when combined, help settle babies and toddlers into a peaceful sleep. To enter this competition, just fill in the Rafflecopter below. For an optional entry, leave a blog comment letting me know what your favourite childhood toy was. The email addresses of entrants will be passed onto Sweet Dreamers for marketing purposes. If you wish to opt out of this, please email me at zoe@mamageek.co.uk. This giveaway ends midnight 28/06/15. Good luck! I had a little doll’s pram with an orange flowery hood. Well it was the 70’s!! A blue bunny – he lost his ears somewhere along the way so looked a little strange! I had a pipa doll which if I remember correctly was a smaller doll than barbie or sindy. .but I thought she had really cool clothes! I had a doll called Pippa, which I still have!